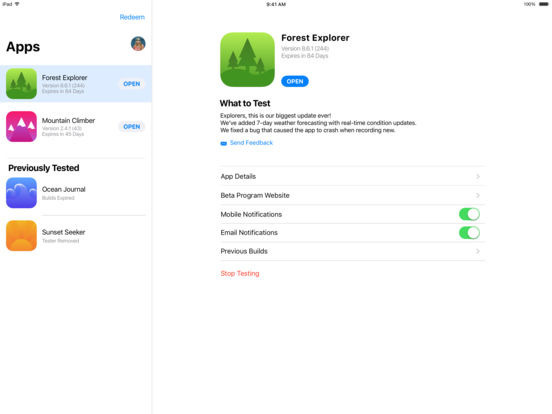 Among other changes in TestFlight —used to beta test apps for Apple's mobile devices —is a new app list that separates ongoing tests, previous ones, and apps that are incompatible on the current device. iPhone owners can now use 3D Touch on the homescreen icon to redeem a code or update all apps simultaneously, while iPad users can take advantage of Split View. 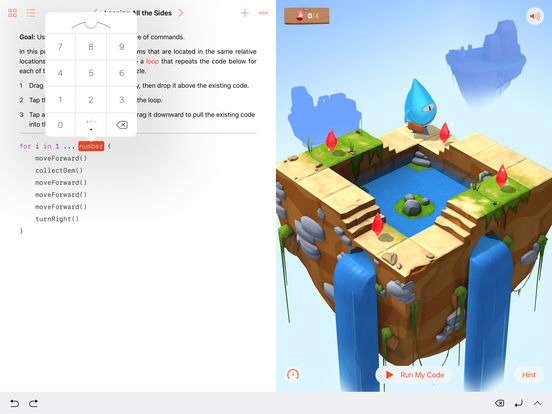 The Swift Playgrounds Augmented Reality challenge takes advantage of iOS 11's ARKit to project the gameworld into the real one. Players must have at least an iPad Pro, or the 2017 "budget" iPad. In-app projects can now access an iPad's camera, and make use of the iOS 11 SDK, as well as code introduced in Swift 4. Apple has also introduced better explanations for errors, and added several languages for the app and Learn to Code 1 lessons: Italian, Dutch, Korean, Swedish, Thai, Turkish, traditional Chinese, Brazilian Portuguese, and European Spanish. TestFlight is a free download, and runs on any device with iOS 8 or later. Swift Playgrounds is likewise free, but runs only on iPads with iOS 10.3.x or 11.